In what seems like a shock to many people, the controversial ex housemate of the just concluded BBNaija 2017, Uriel just made it known that she will be getting married next year. 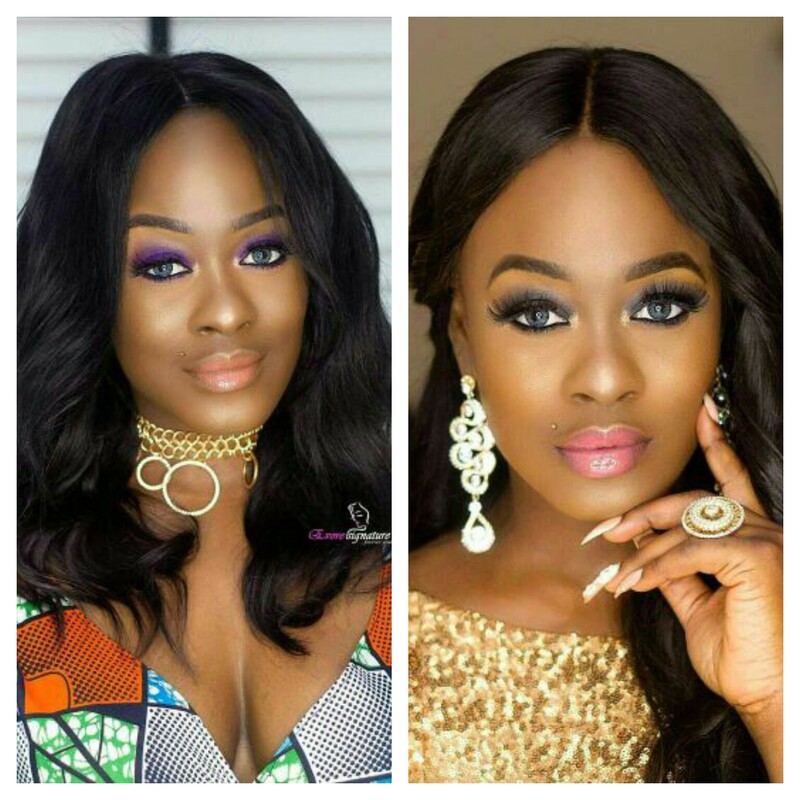 The ex housemate, Uriel recently held a get-together party of which she hosted some of her closest pals like Bisola, Soma and a few others showing up for the party. 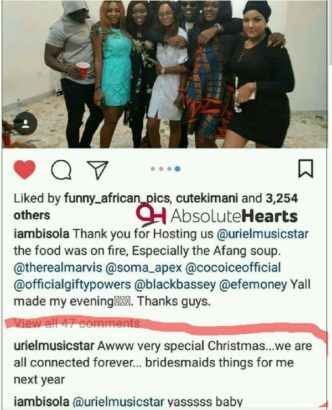 Bisola then took to IG to thank Uriel for the kind gesture but Uriel's response to Bisola got many talking. ‘Awww very special Christmas…we are all connected forever… bridesmaid things for me next year’. To which Bisola replies ‘yasssss baby’.